Kim traces the state’s pursuit of progress through industrialism and examines how ordinary people challenged it every step of the way. Even more than coercion or violence, he argues, work was crucial to state control. Industrial labor was both mode of production and mode of governance, characterized by repetitive work, mass mobilization, labor heroes, and the insistence on convergence between living and working. At the same time, workers challenged and reconfigured state power to accommodate their circumstances—coming late to work, switching jobs, fighting with bosses, and profiting from the black market, as well as following approved paths to secure their livelihood, resolve conflict, and find happiness. 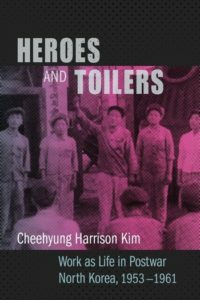 Heroes and Toilers is a groundbreaking analysis of postwar North Korea that avoids the pitfalls of exoticism and exceptionalism to offer a new answer to the fundamental question of North Korea’s historical development. 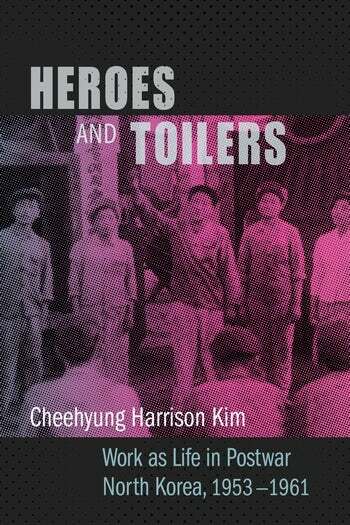 Cheehyung Harrison Kim is assistant professor of history at the University of Hawaiʻi at Mānoa. The CKR/CUP Book Series is supported by the Core University Program for Korean Studies through the Ministry of Education of Republic of Korea and the Korean Studies Promotion Service of the Academy of Korean Studies (AKS-2016-OLU-2250006).